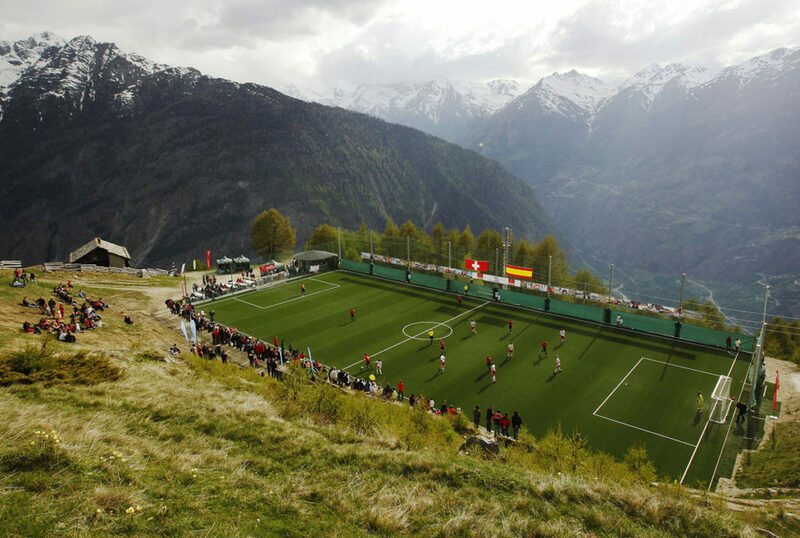 Players of FC Gspon (white), representing Switzerland, play against FC Zuma (red), representing Spain, during their Mountain Villages international soccer tournament match in Gspon, in the Swiss Alps, on May 29, 2010. 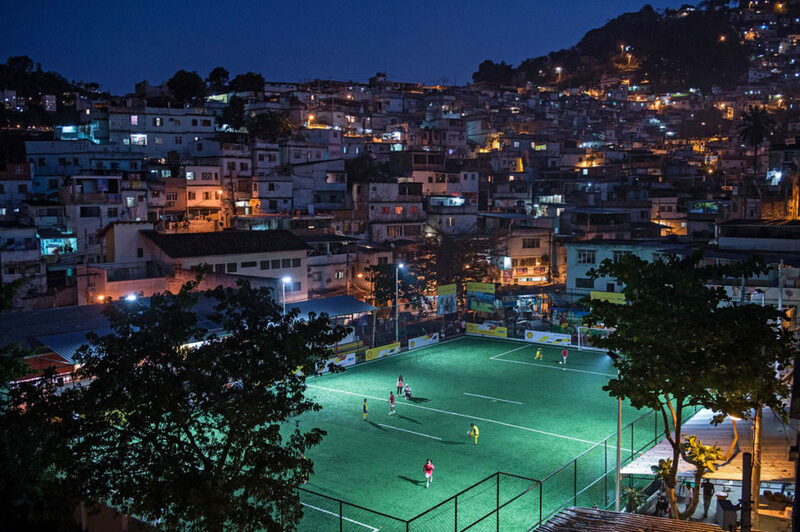 The match is played on the highest elevated soccer field in Europe. 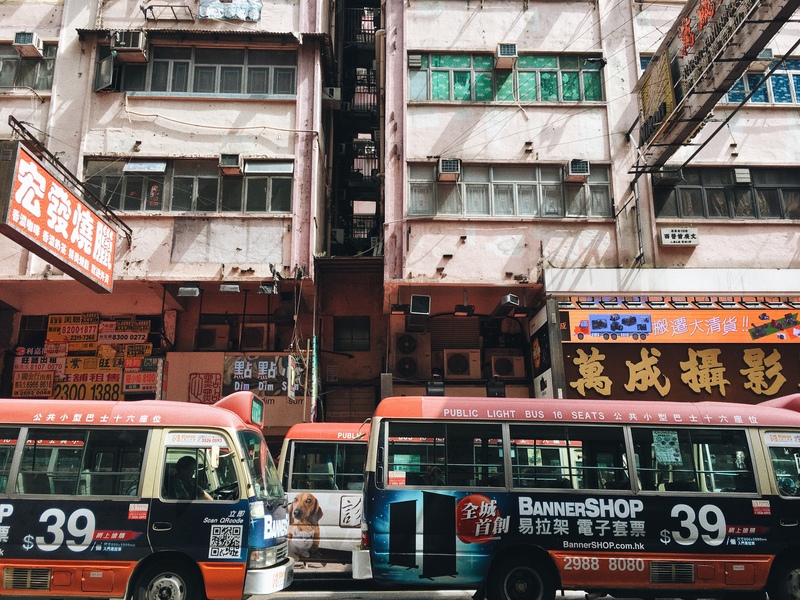 At about 2,000 meters, the pitch can only be reached by a cable car, which can only carry up to 10 people, or on foot—a 45-minute climb. 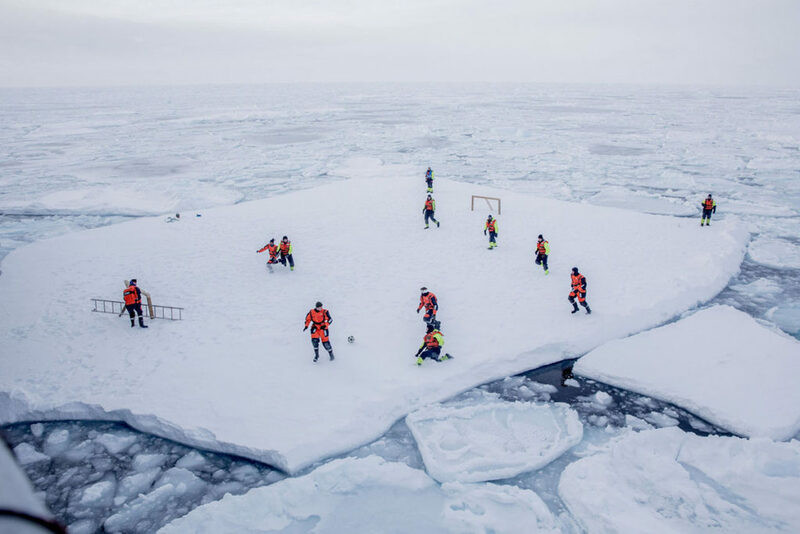 KV Svalbard’s crew, formed by Norwegian navy privates and scientists from the Norwegian Institute of Marine Research, play soccer as they are protected from polar bears by armed guards in the sea around Greenland, on March 22, 2018. 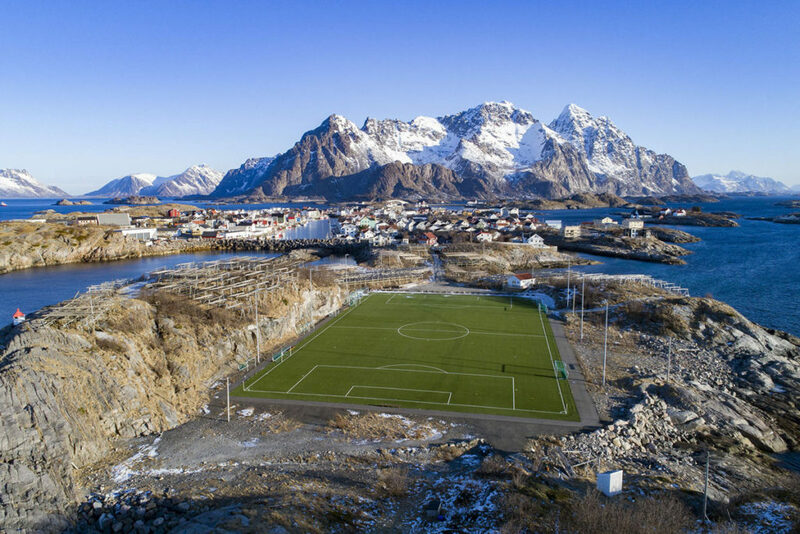 The football stadium of Henninsvaer FC is photographed on March 8, 2018, in Henningsvaer, in Norway’s Lofoten islands. 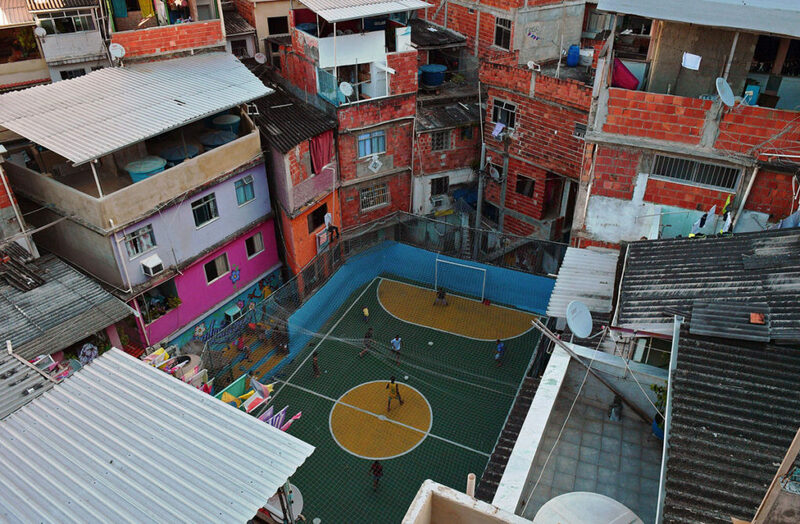 Children play soccer after the inauguration ceremony of a new pitch installed at Mineira favela in Rio de Janeiro, Brazil, on September 10, 2014. 200 self-energy-supplied Pavegen panels, invented by British Laurence Kemball-Cook, were installed underground to capture kinetic energy created by the movement of the football players. 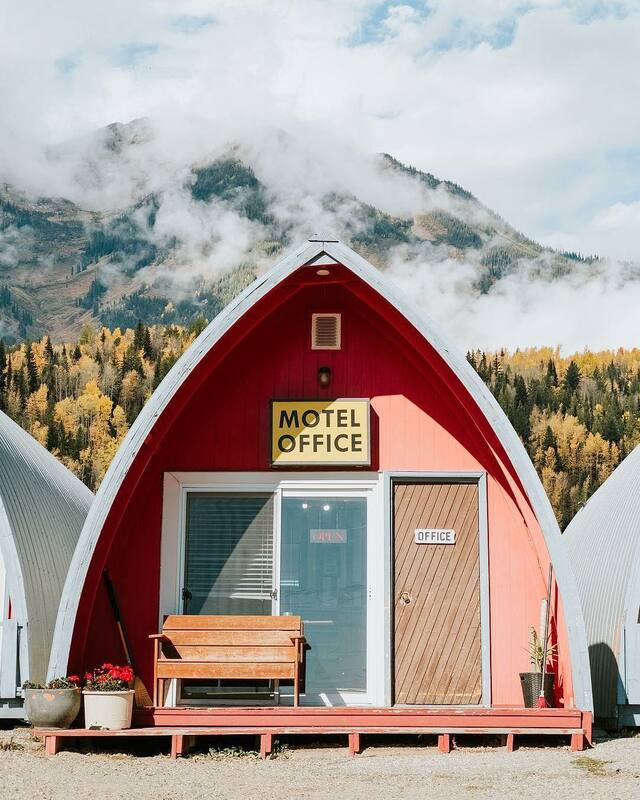 The energy is stored and combined with solar panels’ energy to illuminate the pitch during the night. 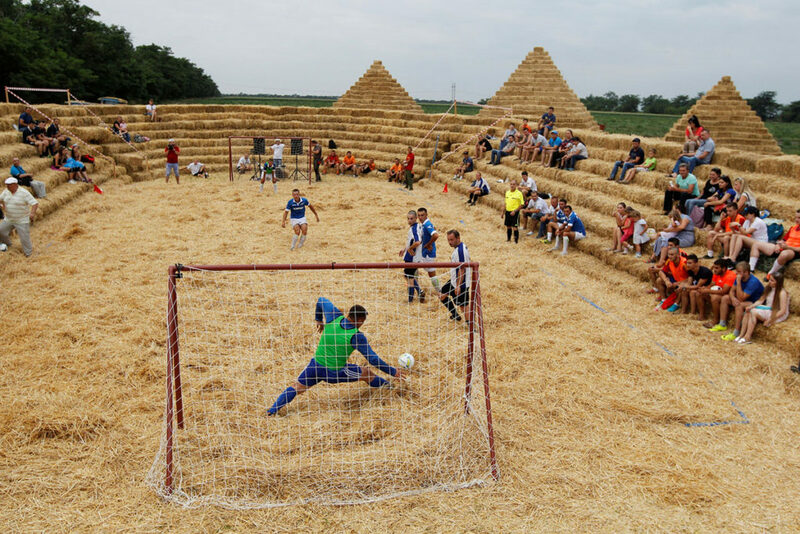 Players attend a football tournament among local amateur teams in a stadium made of straw named Zenit Arena, in the settlement of Krasnoye in the Stavropol region of Russia on July 22, 2017. 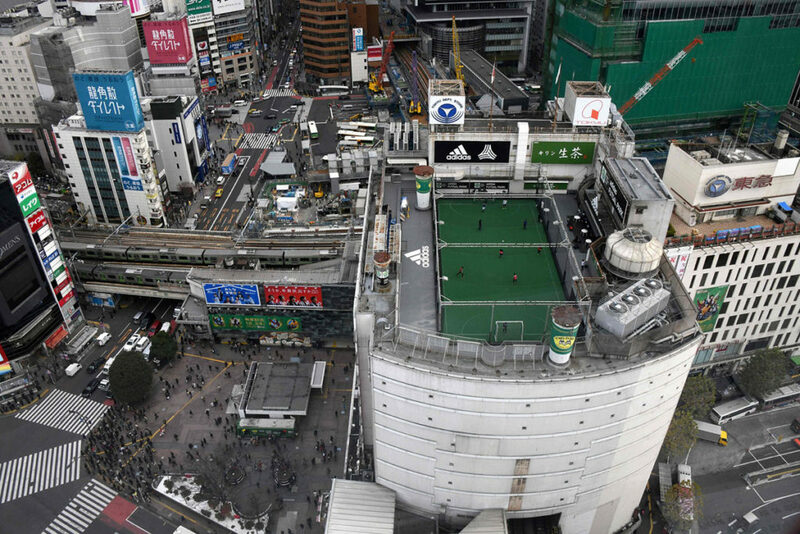 A futsal pitch, built on the rooftop of a department store next to the Shibuya crossing (bottom left), in Tokyo, Japan, photographed on December 20, 2017. 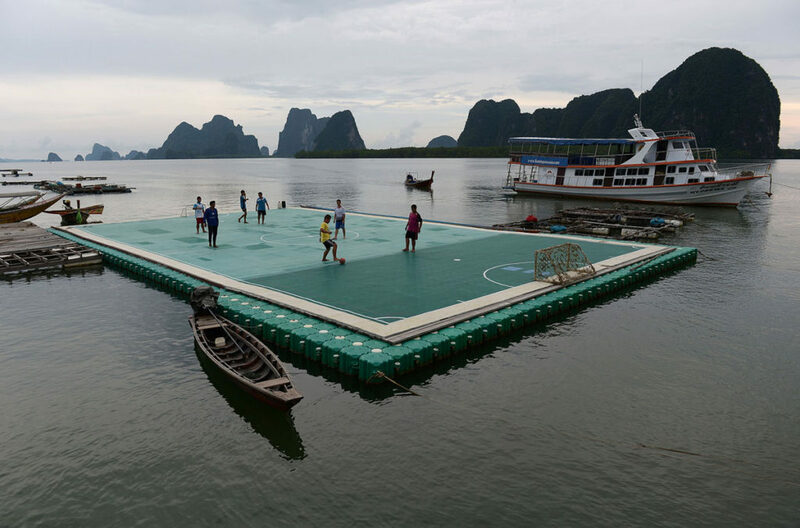 Children play football on a floating pitch in Koh Panyee, in Thailand’s southern Phang Nga province, on October 1, 2014.